First ever Firm Foundations weekend! During the last weekend of October we held our first ever Firm Foundations weekend. Those signing up for it were promised a weekend of intense theological instruction, made up of both lectures and formal and informal discussion. We were delighted to have seven guys attending - from both Scotland and Ireland, as well as inside and outside the RP Church. We were thrilled that David Whitla was able to join us to give the lectures. David, a Scottish native and former pastor at Southside Indianapolis (RPCNA) is currently studying for a PhD focussing on Scottish Covenanter Theology and Spirituality at Queen's University Belfast in preparation to return to the States to teach at Reformed Presbyterian Theological Seminary. David also helped pioneer the hugely popular and successful Theological Foundations for Youth programme, which has had a big impact for good in the RPCNA and influenced a future generation of ministers, elders and members. Things began on Saturday afternoon (David had been speaking at the RPCS Presbytery on the Saturday morning) with a lecture on the Mediatorial Kingship of Christ - a topic on which the definitive book was written by former Stranraer minister William Symington. 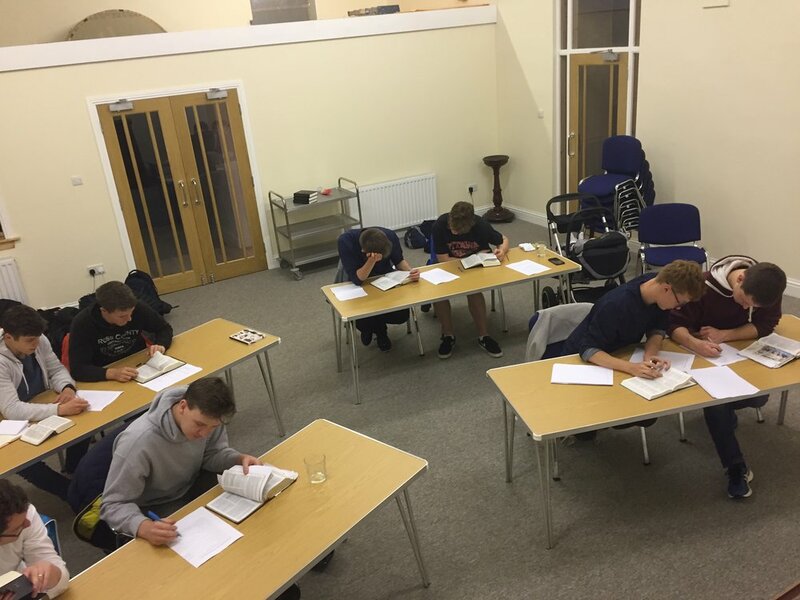 After tea, David set the guys a 'Bible readiness' quiz, aimed at showing them how well we need to know our Bibles, but which also opened up many areas for discussion. On the Lord's Day, the guys joined us for the prayer meeting and morning worship. Following this we had a church lunch, which provided a chance for the congregation to get to know our visitors. After lunch, David gave a talk on where the RP Church came from, focussing mostly on the 17th Century Covenanters. We were glad that some of the congregation were able to stay around for it. After evening worship, we had a 'Stump the Pastor' session where David answered questions the boys had submitted on topics such as Dispensationalism, God's regrets and Baptism. On Monday, David gave two more lectures, on the Lord's Day and the Regulative Principle of Worship. After some more informal discussion, the guys headed for home. 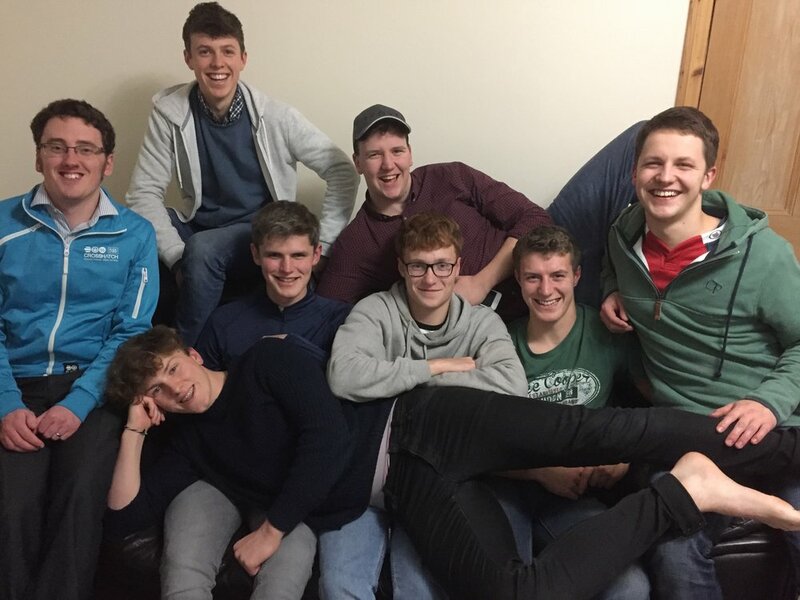 We are grateful to God for a good weekend of fellowship and teaching, which hopefully gave those who came plenty to think about and work through, as well as giving them a taste of Stranraer!